bold and adventurous like Jeep? tough and determined like Nike? quirky and entertaining like Skittles? Chances are that you automatically associate these companies with their signature qualities, and that’s no accident. Someone took the time to develop those brand voices and distinguish them from their competitors. That time investment is crucial if you want to stand out from the pack—and done correctly, your brand will indeed become more memorable to your audience. Here’s how to establish brand voice, step by step. We speak differently depending on our audience, so how can you expect to define brand voice if you don’t know who your audience is? Determine the problems that your company solves, and be as specific as possible. If you make a personal care product for women, know whether you’re more likely to reach millennials or boomers. But then go a step further—is your product more for young moms or single professionals? Are they looking for self-care or to put their best face forward? Don’t assume who will want your product, especially if you come from a different demographic from your users. Gather information from real customers and find out who exactly makes up your target audience. Demographics – That includes users’ age, gender, marital status, occupation, income, race, and educational background, among other traits. Psychographics – What your users’ interests and hobbies? Their goals and frustrations? Understanding their psychographics requires getting inside their heads. Be as specific as possible and include as many details as you can—this will help in developing realistic user personas, which will guide you in determining your brand voice. If your product is similar to something that’s already on the market, use the information that’s already out there. If not, talk to people in your network who might be customers, or conduct focus groups for more intensive research. Your research lays out the groundwork for this next step: finding out your audience’s preferred method of communication. Not all demographics communicate the same way, after all. Over 80% of Generation Z looks to social media before making a purchase, with a higher tendency to use Snapchat and Instagram compared to their older counterparts. With a reputation as brand loyalists, millennials value Facebook and email more than other generations. However, they also respond to corporate blogs and social media channels like Twitter and Instagram. Generation X and baby boomers are less apt to use social media but more than 60% of these two groups make purchases via email. While baby boomers have adapted to some digital channels, it’s best to incorporate traditional media, like TV, radio, and direct mail, into your marketing strategy to get their attention. Knowing how your audience prefers to interact with brands is an example of behavioral data that you can use to your advantage—specifically, by honing in on the most relevant marketing channels to craft your brand voice. This matters because if your audience is 90 percent retirees, you don’t want your brand voice to sound like you’re direct messaging them on Instagram. Remember that your brand voice is the way you connect to your audience. If you only consider how they communicate with each other, you’ll sound like you’re pandering. Example: You’re a company that provides financial services and education. Most of your customers are young professionals or parents of small children, ages 25 to 40. You’ve read that millennials like casual content, so you write in a relaxed, what’s-up-bro kind of style. Then you wonder why your content isn’t converting. It’s because they don’t take you seriously… bro. Even if you’re talking to younger readers, infuse a bit more gravitas. The opposite is true as well—if you’re addressing older adults but you’re selling something fun, let your brand voice take on a more lighthearted tone. When Dove launched its “Campaign for Real Beauty,” it cemented the most defining aspects of its brand voice. Already positioned as down-to-earth and pure, the company focused on connecting with its female customers and empowering them to embrace their natural beauty. Part of the campaign included a time-lapse video of a real woman being transformed into a Photoshopped model—and it became an instant viral success, reaching 1.7 million views in its first month. The public and the press responded enthusiastically, creating an overwhelming buzz that cost Dove nothing in time or resources. As a personal care brand specializing in lotions, body washes, and antiperspirants, Dove defined its brand voice to advocate for authentic beauty—making it perfectly in line with its products and previous messaging. Every piece of content you put out there says something, whether you’re purposefully crafting a voice or not. So if you’ve already got live blog articles and social media posts, you may want to inspect how that voice currently sounds. Once you have these data points, look at the content on your best-performing pages. This is what your audience currently connects with the most, so pay particular attention to tone and personality. What voice are your readers hearing from you already? Is it consistent with the voice you want for your company? If not, you’ll need to earmark this content for revising and editing later. Imitation may be the sincerest form of flattery, but when it comes to branding, it won’t do your company any favors. Sure, it’s helpful to study how your competitors establish a certain tone and interact with their customers, but you shouldn’t try to mimic their style. Trying to emulate your rivals’ success may catch people’s attention, but in a bad way. Consider Pepsi’s 2017 commercial featuring Kendall Jenner. The ad drew ire for downplaying real-life activist efforts, but beyond this controversy, it also reminded many people of its biggest rival, Coke. Why? Decades earlier in 1971, Coke released a peace-promoting television ad with the catchy song “I’d Like to Buy the World a Coke”—and it’s become known as one of the most famous ads of all time. So rather than making itself appear original, Pepsi simply came off as a copycat. That’s not to say everything your competitor’s done, even 40 years ago, is off limits, of course. Rather, branding decisions that come too close to your competition’s will make yours look like a wannabe or knock-off. Aim for something different instead. This doesn’t necessitate doing a complete 180 from your competitors, but rather, looking for qualities and traits that their brand voice clearly lacks. If you want to have a clear brand voice, you need to not only define what your brand voice is but also what it isn’t. For example, you might be casual but not sloppy. Or playful but not childish. For this step, you’re going to organize and further elaborate on the brand attributes you’ve defined so far by creating a brand voice chart. Still having trouble nailing down the specifics? Try imagining your brand as a person and describing them. My friend Google, for example, is smart and has a lot of ideas, but he doesn’t take himself too seriously. His roommate IBM is more straitlaced and focuses on being professional, responsible, and formal. Have some fun with it and get creative. And for more inspiration, take a look at other brands—Mozilla, for instance, uses GIFs to illustrate its brand values. Ideally, you’ll be integrating this step as you define your business’s brand voice. But you’ll still want to take a look at the rest of your branding once you’ve solidified specific qualities, and make sure your newly established voice fits with your company culture. Design and use a logo that aligns with your brand voice. For instance, if your logo is cartoony and whimsical, your brand voice shouldn’t sound too matter-of-fact. Structure your content calendar around topics that match your brand’s personality and are appropriate to your industry. Match your tone and personality across different channels. For example, your company’s voice on Twitter and LinkedIn should mirror what’s on your blog. Work with influencers and brand ambassadors that share your brand’s values. Instead of choosing people based on the number of their followers, look for those who produce content that complements your company’s. Your brand voice chart makes a great starting point for creating a larger brand voice document—a crucial reference that functions like a brand style guide, helping your content creators understand what does and doesn’t align. Skype’s 63-page brand book is a great example of one. By clearly outlining its brand voice to its team, Skype ensures consistency across all of its channels. It simply isn’t possible to have a unified brand voice otherwise. Besides sharing your brand voice chart, this document should discuss your company’s mission, values, logo, and any stylistic preferences in content creation. If there are contradictions, fix them before you release those guidelines to your team. How do you know when you’ve found the right brand voice? It’ll happen when you put out a piece of content or start a new marketing campaign and a reader recognizes that it’s your company before clicking. Remember, your brand voice is your first impression as well as the foundation of developing customer relationships. It’s a critical step in becoming a company that has loyal clients and a longstanding place in the market. Joyce Chou is a Senior Content Specialist at Compose.ly, a content platform that matches businesses with seasoned freelance writers. 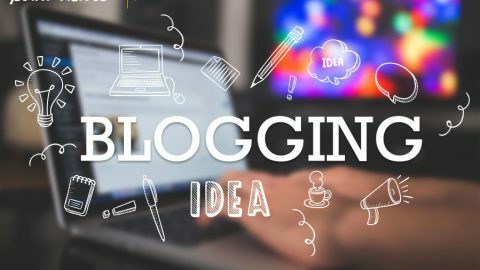 Apart from writing for Compose.ly’s blog, Joyce also contributes to other publications about digital marketing, personal finance, small business and e-commerce, and more. You can reach Joyce on Twitter or LinkedIn.